If you are an investor who is looking for a regular return, a stock that consistently pays dividends could be an option. Some companies make profits year after year and distribute a steady stream of dividends to their shareholders. But putting your money directly into stocks is risky. 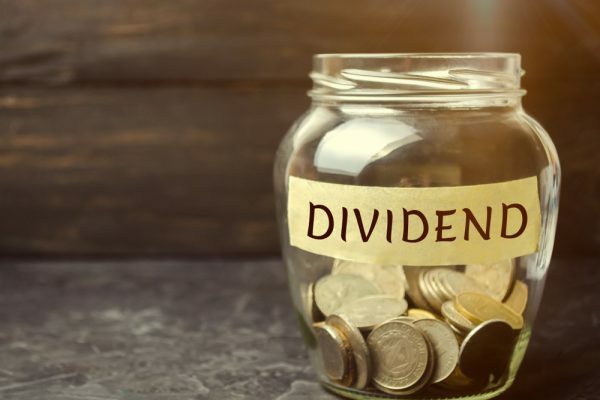 If you divide your investment between, say, five high dividend paying companies, and one of them collapses, you could risk losing 20% of your capital. Unit trusts offer a better option. They handle the stock selection process for you and also monitor the investment portfolio on a constant basis. Additionally, your money is spread across a wide range of shares. This lowers your level of risk. The fund could also invest in different asset classes, providing you with a well-diversified portfolio. You could never hope to achieve this level of diversification on your own. One of the most significant advantages that you gain by investing in a unit trust is that of diversification. A prudent investor knows that it isn’t advisable to put all one’s eggs into one basket. Diversifying across different companies, and even countries is recommended. A mutual fund allows you to achieve this objective. Consider the First State Dividend Advantage fund. The money that it has collected has been invested in the equity markets in several countries as shown below. *Unit trusts hold some amount in cash so that they can take advantage of new investment opportunities. The money is also required for paying dividends. Now, if an individual investor had to deploy funds across all these countries, it would require a significant investment amount. Additionally, it would be a full-time job to monitor such a highly diversified portfolio. By investing in a unit trust, you can overcome these issues. An investment in a unit trust allows you to get your money back at short notice. It is easy to buy units as well as to sell them. So, if you have purchased a dividend paying unit trust and require the funds, it should be simple to liquidate your investment. However, there is one factor that you should take into account. Some funds may levy a fee for redemption and this could eat into the value of your portfolio. Always check with your investment advisor if you are unsure. If, for instance, you are looking for a defensive investment portfolio, amid the uncertainty of a Sino-US trade war resolution, you might be interested to invest in a bond focused fund, like the Schroder ISF Global High Yield which invests in global bonds. At the same time, you can also continue to receive your monthly dividends whenever they are announced. Stock prices can vary widely as the market rises or falls. For example, if you have bought shares in an oil company, and the price of petroleum drops, you could see the value of your investment fall. However, an investment in a mutual fund is less volatile. The fund manager invests in a basket of stocks. The fall in the price of one stock could be offset by the rise in the price of another. This will serve to protect the value of your investment and help to stabilise it. Buying into a unit trust gives you the benefit of a team of professionals managing your money. You will gain the advantage of their experience and the fact that they monitor the portfolio on a constant basis. Investments that have poor prospects are liquidated. This money is reinvested in financial instruments that aim to provide a better return. Real estate investment trusts or REITs are often touted as the ideal option for investors looking for regular income. Singapore’s REIT sector is well developed, and it is true that you can earn a respectable return by investing in REITs. Investors benefit because of a rule that stipulates that REITs need to pay out at least 90% of their profits to unitholders. However, you should remember that these investments are dependent upon property investments. REITs cannot invest in the energy sector or banks or any other non-property related investment. This factor works in their favour when the real estate market is doing well but can go against them when property values decline. If you are looking at an income paying investment, a dividend paying unit trust can offer a good option. Of course, these investments do carry a certain degree of risk. It is advisable to select the fund carefully and continue to monitor its performance as long as you hold it. If you don’t have the time to do this or if you are not very familiar with the manner in which the financial markets operate, you could consider taking the advice from Investment Advisers from iFAST Global Markets, who will be able to make holistic recommendations, and construct the optimal portfolio for you, no matter what your investment objectives are. The iGM Philosophy: Financial planning doesn’t need to be complicated. Some people think that complicated or abstract products are necessary for larger returns. iGM disagrees. Sometimes, the best products are the simplest ones. iGM is fully transparent in all dealings. For investments, the fees will be spelt clearly for you. For insurance, they tell you how much commissions the insurers will be paying them, and they rebate 25% back to you for even bigger cost savings. How do you know if your premium credit card is good enough for all your needs? Here’s a checklist.